With three national releases under his belt, Strange Music’s Prozak has more than enough music to keep fans satisfied. From his collaborative effort with Mike. E. Clark on Project Deadman’s Self Inflicted to his recently released Paranormal, Prozak has consistently kept a dark shadow over listeners with themes ranging from war to the sins of humanity. No matter where you stand on the issues, one thing is for sure – Prozak keeps you listening. So, in honor of Friday the 13th, we’ve decided to take a look back through Prozak’s catalog and handpick the top 13 songs every Strange Music fan needs in their collection. From his best collaborations to the most thought-provoking solo tracks, it’s all here. In three words Prozak manages to capture that feeling we all have when we just don’t want anything to do with the world. This anthem quickly became a staple of Prozak’s live shows and continues to be a big hit with fans. Short and simple. Gotta love it. During a time of civil unrest and war, Prozak linked up with Mike E. Clark for this politically charged cut that would later end up on Tales From The Sick. Guitars laced up the production as Prozak took his criticisms right to the front doors of the White House. For Project Deadman fans, this is what’s it all about. Easily one of the standouts on Paranormal, “Tell A Tale Of Two Hearts” showcased Prozak’s incredible knack for storytelling and features one of his best hooks in recent memory. A twisted and painful look at what love can do, this track brings together some of the very best elements found in Prozak’s music. Ladies, keep this one in rotation. Did we already mention how great Prozak is with words? This melodic and almost soothing fan-favorite from Self Inflicted finds Prozak laying down one of his most descriptive and poetic tracks to date. No doubt a keeper for fans looking to hear Prozak’s evolution over the years. Oh, what’s that? You want the ultimate posse cut? We got you covered. Like putting together the most awesome underground Voltron, Prozak recruited straight from the world of the wicked for this collection of killer emcees. From Kutt’s opening to Prozak’s closing, there isn’t a single bad feature on here. Plus, Tech spits one of our favorite verses ever. Prozak and the demented duo have collaborated many times over the years, actually, more than we can count. This track however, climbs to the top of that list as the three emcees examine that thin line between life and death and remind listeners that it’s all about what you do with the time given on this planet. It’s no secret. Prozak’s roots are in the Michigan underground and this track right here proves it. Paired up with King Gordy, Prozak (as a part of PDM) drops some heated bars straight from hell. It’s also a pretty good precursor to Gordy’s insane verse on Tech N9ne’s “Horns”. We’re still reeling from that one. If this was a list about Prozak’s best collaborations, this track would probably claim the top spot. Reaching out to two of the biggest names in the Midwest, Prozak scooped up features from Twista and Tech N9ne for this morbid dissection of everything wrong with the world. Even better, all three emcees fire off syllables at a feverish pace and prove that a chopper flow can be just as thoughtful as it is technical. Tales From The Sick served up some of Prozak’s strongest material, but it was on “Good Enough” that he really shined and showed signs of a more mature approach in his writing. Emotional, introspective, and conflicted. This ladies and gentlemen, is Prozak at his best. This one took fans a bit by surprise. After releasing “Million Miles Away” and “Turn Back”, Prozak hit listeners hard with this aggressive cut from Paranormal. Firing back at his opposition, Prozak seemed to aim his words at real individuals and even brought Tech N9ne along for the ride. Middle fingers up, Prozak and Tech are locked in on their enemies. How is this track so high on our list? Aside from the fact that it was produced by The Legendary Traxster, “Keep Grindin'” is easily one of Prozak’s best tracks ever. 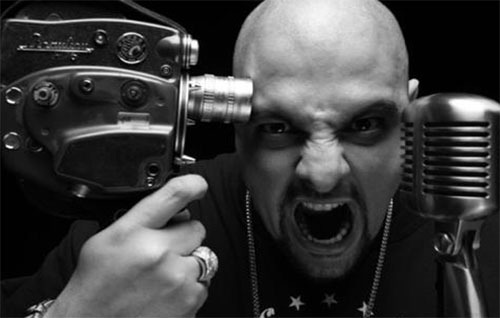 From Prozak’s flow to Krizz Kaliko’s hook, “Keep Grindin'” was Prozak’s solo declaration in 2008. If Prozak had a theme song, this would probably be it. Several of the songs on this list display Prozak’s acclaimed ability to tell a vivid story with his lyrics, but perhaps none does a greater job than “American Princess”. Backed by a haunting sample of “Mad World” by Michael Andrew and Gary Jules, “American Princess” follows a story of tragedy at home and what happens when the American dream becomes a nightmare. Written from a personal place for Prozak, “Until Then” was a heart-breaking look into the mind of someone who has let go of everything and has nothing left to give. The somber track is arguably the best ever from Prozak and cemented his belief in the art of life, reminding fans that the best music can be inspired by the world around us. Have you heard all of the songs we included?